The Cosmic Crusaders "Reboot" Comic Book! 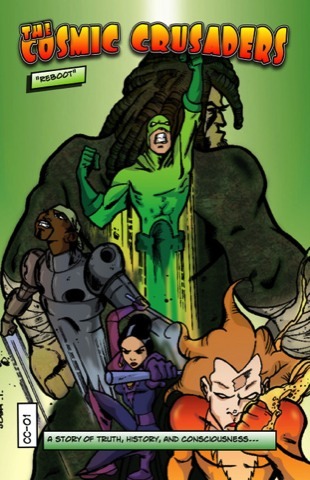 A great way to support Captain Cannabis is by picking up a copy of The Cosmic Crusaders. The first issue or episode is called "reboot" and introduces the reader to Captain Cannabis and his super funky friends. Together their mission is to save the planet with Hemp Cannabis Sativa! This is the PROMO video, to watch the official full length version please go to The Cosmic Crusaders "Reboot" Video on YouTube. Available for purchase for $4.20 at The Comic Flea Market.